A podcast about podcasts, bringing the world of podcasting to the UK via interviews with podcast hosts and regular podcast guests. Hosted by George Grimwood. 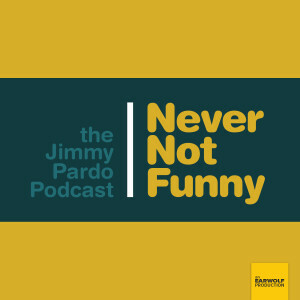 In this episode, George chats with Jimmy Pardo, host of Never Not Funny, to discuss comedy, podcasting, politics and eggplant. Visit www.pardcast.com and sign up to become a member of The Players Club for exclusive episodes, videos and more from Jimmy Pardo, Matt Belknap and the Never Not Funny team. You can also check out the previous Pardcast-a-thons in aid of SmileTrain, the cleft lips and palates children's charity.